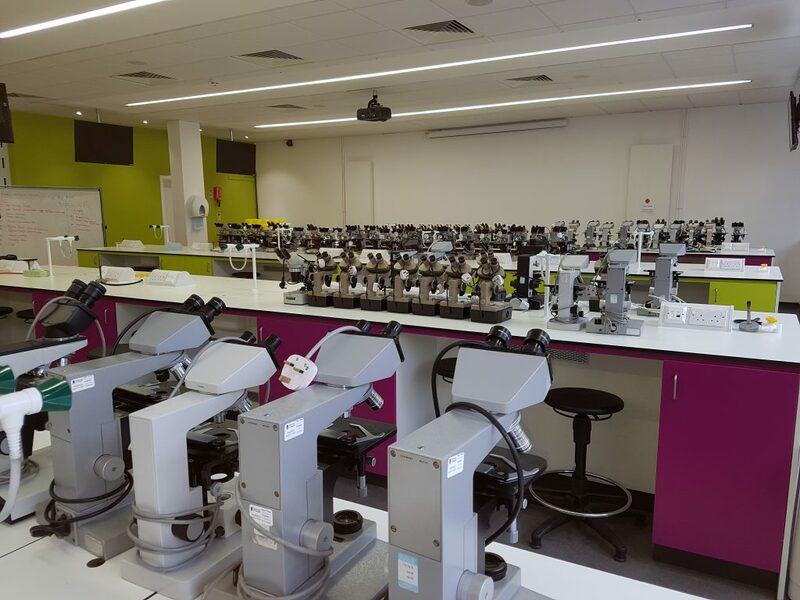 Microscope servicing – Scotland and Northern England. We carry out on-site microscope servicing for a number of large universities and companies from the Aerospace and Defense industry sectors. We cover all brands and models including Phase, Fluorescence and DIC microscopes. Please call us on 01912846545 or contact us to discuss your needs. Regular maintenance of microscopes ensures good working capability, high resolution and a long lifespan. Over time, working conditions can reduce microscope performance and the extent operator can find it increasingly difficult to produce consistent images. Regularly scheduled service routines helps to identify problems before they become too serious. This makes it more cost effective than waiting until there is a specific problem when major repair work may be needed.